Spend Your holiday in the Drace hart of Peljeac peninsula. It is ideal places for all of You running away from the haste of urban lifestyle. Run away from the city, take a break from stressful life, leave Your worries behind, enjoy Your holiday by the worm sea, sun and scent of pine tree woods. 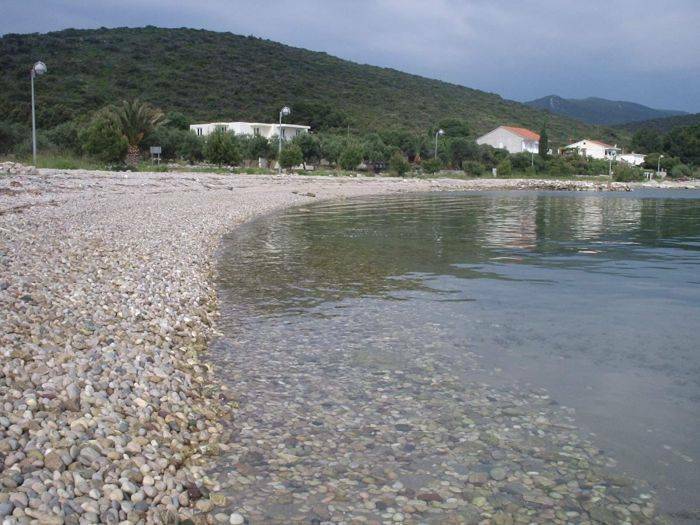 Our house is located 20 m from pebbled beach with sand inside, and 500m from small nice place called Drače (80 km from Dubrovnik). 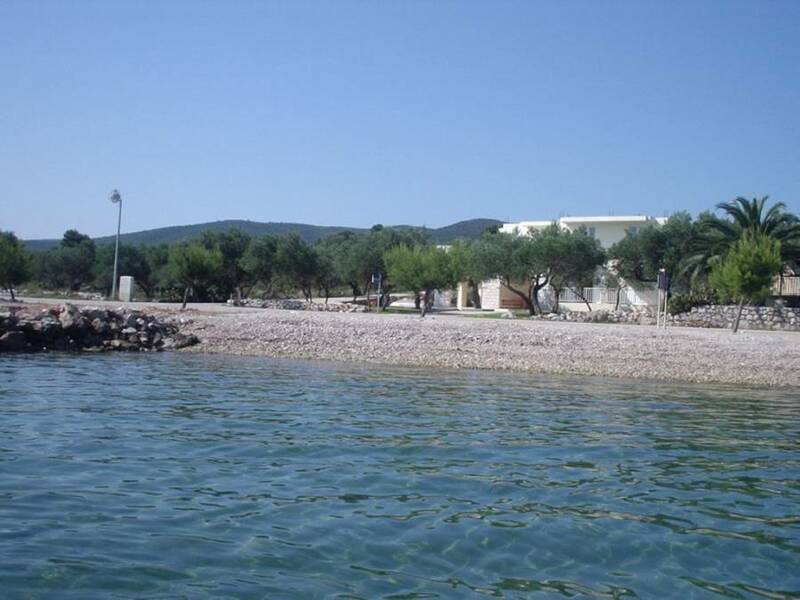 It has beautiful view on the sea and it's surrounded with nice olive grove (5000 m2). There are 3 apartments on the ground floor, barbecue is on disposal and there is parking ensured for all cars. Apartment A1 (5persons) has one double room with extra bed for one person and bathroom. Kitchen with living room and another bathroom. In the living room is sofa (extra bed for 2 persons). 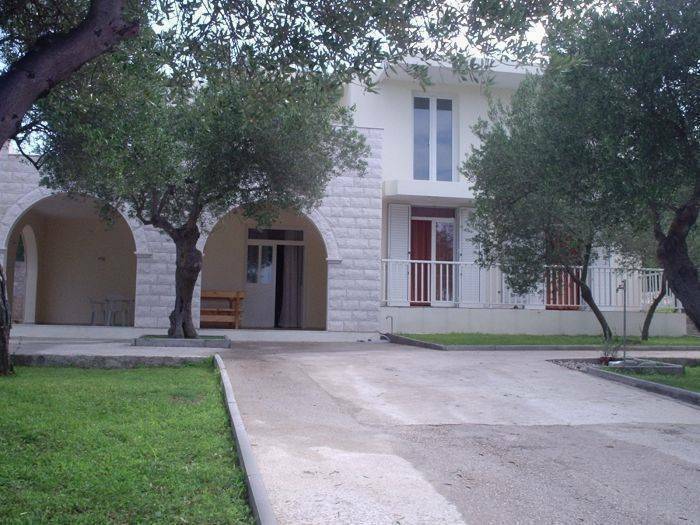 It has balcony and tarace with view on the olive grove and sea. This studio apartment has one room with double bed, and extra bed for one person. 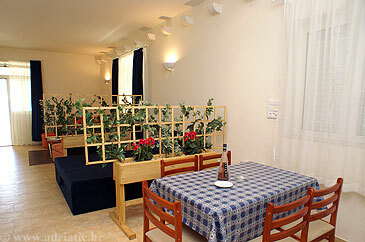 There is also kitchen and balcony with view on the olive grove and sea. Big and spacious studio apartment (51 m2) is also on the ground floor. It has kitchen, big living room (42m2) with double bed and extra bed for 2 person, WC (3. 1m2) and bathroom (4. 2 m2). Big shaded terrace is in front of apartment (44m2)with wiev on the olive grove and sea.